Join us to hear leading companies pitch their business models and engage with industry experts and stakeholders. Register and learn more below! Join Village Capital and Citi Community Development to bridge the opportunity gap for women and minority entrepreneurs throughout the US taking on major challenges in Financial Inclusion, Health and Education. Minority-owned companies received just 3% of venture capital investments despite being recognized by the U.S. Commerce Department’s Minority Business Development Agency as an engine of employment. Similarly, women-owned companies received only 8% of investment dollars, despite growing faster than their counterparts. This series of one day training and investor forums will highlight innovations of entrepreneurs of color and women-owned businesses, to offer increased access to investments to expand or grow their companies. Companies selected to participate will have the chance to win seed funding. Sixty-eight million adults in America are currently disconnected from the financial system, with 17 million of those individuals having no bank accounts at all (FDIC 2014). In total, these numbers amount to one in five households lacking access to the financial services they need. To address this challenge, Village Capital, Citi Community Development and Florida International University are searching for early stage ventures based in the greater Miami/Tri-County area that increase access and affordability of financial services for consumers and small businesses. We’re especially interested in ventures that are minority and women-led, focused on bridging the opportunity gap for underserved businesses. Ventures improving the ability for the underbanked to withstand unexpected expenses - through health care costs, loss of income, education, etc. (1) entrepreneur engagement and (2) an investor-facing pitch fest in which two participants will be selected to win $20,000 in seed funding. We invite all interested stakeholders and community members to participate in the evening pitch fest and networking event. Please sign up and learn more below. Village Capital and Citi Community Development are holding their second forum in the Inclusive Enterprise Series, in partnership with Nasdaq Entrepreneurial Center, in order to support health entrepreneurs that are working on improving health outcomes for financially vulnerable patients. 89% of poor households across the country have less access to healthcare than their higher-income counterparts, with similar income disparities accounting for 31% of all U.S. healthcare costs (1). An example of this trend in the Bay Area can be found in the low-income neighborhood of Bay View/Hunters Point, where residents experience worse health outcomes and life expectancies of fourteen fewer years than people who live in Russian Hill, a higher-income neighborhood (2). Socioeconomic variables, like income and education, account for roughly 40% of the determining factors that contribute to an individual's health outcome. To address this challenge, Village Capital, Citi Community Development, and the Nasdaq Entrepreneurial Center are hosting a one-day Health Forum for 10-12 early-stage ventures in the Bay Area that offer health IT or medical device solutions designed to improve healthcare experience and outcomes for financially vulnerable patients. We’re especially interested in women- and minority-led ventures endeavoring to solve some component of this complex problem. Aim to improve care coordination for patients, their family members, and providers. Enhance health literacy for patients, such as novel techniques to deploy hospital or clinic discharge instructions. Provide solutions for managing healthcare costs and/or understanding insurance options. Decrease the cost of health services and expand access. (1) entrepreneur engagement and (2) an investor-facing pitch-fest in which two participants will be selected to win $20,000 in seed funding. Please download and review the Official Rules and Guidelines for the San Francisco Health Forum Business Pitch Competition here. The Nasdaq Entrepreneurial Center is a San Francisco-based non-profit organization designed to educate, innovate, and connect aspiring and current entrepreneurs. Established in 2014 with support from the Nasdaq Educational Foundation, the Nasdaq Entrepreneurial Center serves the greater Bay Area community through differentiated events, meaningful entrepreneurial education, and a strong commitment to mentorship. The Root is the premier news, opinion and culture site for African-American influencers. Founded in 2008, under the leadership of Dr. Henry Louis Gates Jr., The Root provides smart, timely coverage of breaking news, thought-provoking commentary and gives voice to a changing, more diverse America. Visit us at www.theroot.com, on Twitter @TheRoot247 and on Facebook at https://www.facebook.com/theRoot. We encourage all interested ventures to join. 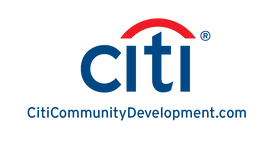 Village Capital and Citi Community Development are excited to host the third and final forum in the 2018 Inclusive Enterprise Series, in partnership with Learning EDGE in New York City on April 6th. This Education Forum will focus on supporting women and minority entrepreneurs with technology-driven solutions that aim to build academic achievement and success among students enrolled in Kindergarten through 12th grade and those enrolled in higher education. Recent data indicates that by 2020, 65% of all jobs in the US will require at least an Associate’s degree or some amount of post-secondary school training or certification. However, only 1 in 4 students are academically prepared for college when they graduate from high school. Also, many lack the skills and training necessary for securing jobs in careers with progressively higher wages and incomes. To address this important challenge, and with funding from Citi Community Development, the Education Forum of the 2018 Inclusive Enterprise Series will present a one-day event highlighting up to 15 early-stage ventures that offer technology-driven solutions designed to improve student academic performance and position them for success as they enter the workforce. We are especially interested in women and minority-led ventures focused on delivering solutions in the areas of academic skills development, higher education success, and career-readiness. Improve academic performance and learning outcomes in grades K-12 that are directly tied to student success beyond the classroom. The event will take place on April 6th, and will consist of two main components: (1) Entrepreneur engagement and (2) An investor-facing pitch-fest in which two participants will be selected to win $20,000 in seed funding. Please download and review the Official Rules and Guidelines for the New York Education Forum here. Learning EDGE Accelerator Learning EDGE Accelerator is the world's premier EdTech Accelerator-- a three month intensive, deep immersion accelerator program and community for education startups who receive up to $120,000 in financing plus services that propel their business to the next level. Learning EGDE establishes New York City as the global hub for education technology, and works with any founder solving a problem in pre-kindergarten, K-12, HigherEd, corporate learning, or lifelong learning. All entrepreneurs passionate about solving these problems, including solo founders and non-profits, are encouraged to take courses and join us at our community in Manhattan. The Root is the premier news, opinion and culture site for African-American influencers. Founded in 2008, under the leadership of Dr. Henry Louis Gates Jr., The Root provides smart, timely coverage of breaking news, thought-provoking commentary and gives voice to a changing, more diverse America. Visit us at www.theroot.com, on Twitter @TheRoot247 and on Facebook at https://www.facebook.com/theRoot. Edge EdTech Accelerator is the world's premier EdTech Accelerator-- a three month intensive, deep immersion accelerator program and community for education startups who receive $170,000 in financing plus legal, HR, and other services. EdTech and accelerator veterans Don Burton, Jonathan Harber and Ash Kaluarachchi have teamed up to establish New York City as the global hub for education technology. EDGE works with any founder solving a problem in pre-kindergarten, K-12, HigherEd, corporate learning, or lifelong learning. All entrepreneurs passionate about solving these problems, including solo founders and non-profits, are encouraged to take courses and join us at our community in Manhattan.